Strategic planning in health care organizations involves outlining the actionable steps needed to reach specific goals. While there are different strategy types and levels, the purpose of all strategies is to bring an organization’s actions into alignment with its stated mission or values. Today, health care providers require more patient-centric, value-based approaches, whereas many of their current systems follow older, more traditional strategy models, according to Becker’s Hospital Review. Increasingly, organizations are having to recalibrate their health care strategies to suit current market trends and changing approaches to patient care. Any professional looking to better understand the inner workings of health care institutions needs to know the different types of strategies used in health care, along with their importance for an organization’s success. As noted in a report published in the Journal of Oncology Practice, “You may not be able to control the future, but strategic planning can create a direction for your practice and maximize your options for influencing your environment.” Strategic planning in health care organizations entails taking proactive steps toward a goal, not just addressing immediate problems as they arise. Health care strategy is crucial to an organization’s future success by providing the framework for making day-to-day choices in alignment with its objectives. 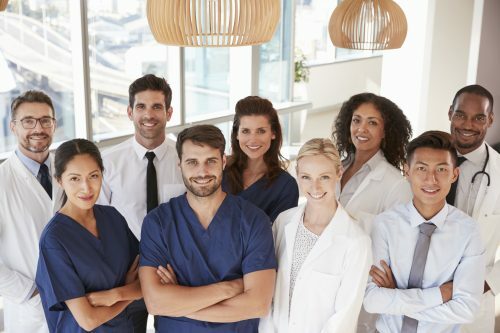 The American College of Healthcare Executives (ACHE) explains that health care strategies vary in type (prospective or emergent) and organizational level (corporate, business, or functional). No matter their size or mission, most organizations employ some form of strategy to make progress towards their long-term goals. There are two main strategy types that organizations employ: prospective and emergent. The majority of large health care organizations develop thorough plans to prepare for future issues that may affect their facilities and the health care field at large. These providers must focus on creating strategies that anticipate potential needs for additional resources, such as capital and personnel. This type of long-term planning is known as prospective strategy. Prospective strategies should also allow for flexibility in case unforeseen developments occur in the health care sector. For example, if providers develop a prospective strategy based on an expected nursing shortage in the years ahead, and that shortage is less severe than anticipated, a flexible strategy would include a plan for reallocating resources to other areas. Emergent strategies involve a retrospective analysis of events to make better decisions going forward. Developments such as the implementation of new health care policy, swings in prescription drug prices, and outbreaks of epidemic diseases can cause health care market fluctuations that require providers to continually experiment and adapt. Organizations that rely on emergent strategies must be extremely flexible to be able to re-evaluate internal strategies and quickly recalibrate to better suit current market trends. Many providers analyze competitors’ strategies and implement tactics that seem to be working for other leaders in the field. In addition to prospective and emergent strategy approaches, there are also different strategy levels within organizations. Organizational strategies are often subdivided into corporate, business, and functional levels. This level of strategy often involves a board of directors, executive leaders, and stakeholders. As the top tier of the decision-making process, the corporate level oversees strategy for the entire organization, with a focus on defining mission and big-picture goals, such as fund allocation and business deals. This strategy level prioritizes specific product lines. Business-level strategy focuses on projects in development, and managers have the authority to develop strategies based on the needs of their directives. Managers translate the directions and intent of those at the corporate level into actionable strategies for individual projects and employees. The third tier in an organization’s strategic approach is the functional level, which supports the corporate and business levels. The focus at this level is tied to the end products or services the company provides. Functional-level strategy integrates research, marketing, production, and distribution to better connect products and services with the company’s client base. Managers involved in developing strategies at every level must consider how their plans will affect individuals throughout the organization. For example, a strategy aimed at increasing health care services during a facility’s expansion should consider the additional hours current staff members may need to work before new professionals can be hired. Similarly, if administrators plan to divert more resources to a specific department in a health care facility, the strategy needs to account for how decreases in resources will impact other departments. Ideally, information should cascade from corporate down to the functional level, with the final product meeting all goals and driving business success. Strategic planning in health care organizations helps medical institutions operate successfully with respect to business objectives and optimal standards of patient care. Professionals looking to gain a better understanding of health care strategies to help analyze, create, and implement them may need advanced education beyond a bachelor’s degree. Heath care administrators or executives must have a comprehensive understanding of health care stratagems to effectively manage an entire facility, clinic, or department. A graduate degree, such as Regis College’s Master of Science in Health Administration, will help professionals add new skills into their already-existing foundation of experience, which can enable them to integrate strategy systems in the workplace. Earning a Master of Science in Health Administration can enhance a professional’s working knowledge of health care systems, and it may also aid in career advancement. Medical facilities often seek out candidates with master’s degrees, as that level of education signifies that the candidate possesses advanced knowledge and applied experience. Demand for strategic leadership roles is also on the rise. The U.S. Bureau of Labor Statistics expects health care administrator jobs to grow by 20 percent between 2016 and 2026, which is much faster than average. That equates to an additional 72,100 open positions. A Master of Science in Health Administration may be the perfect fit for professionals looking to elevate their understanding of health care system strategies while also expanding their career opportunities.